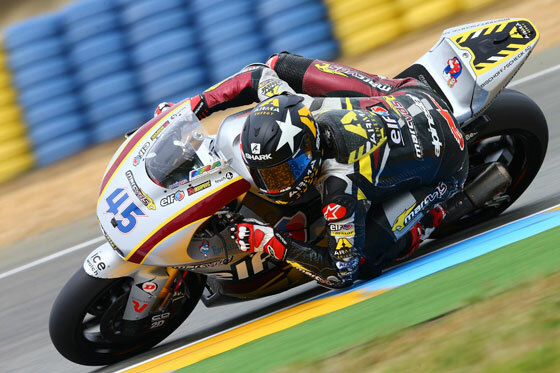 Marc VDS rider Scott Redding qualified in second position in an interrupted Moto2 qualifying session at the Le Mans circuit. Setting the fastest time in combined free practice, the 20 year old went into qualifying with a strong set-up. The threat of rain loomed and Redding wasted no time and set the pace early on in qualifying, however Takaaki Nakagami soon pushed Redding down to second, where he stayed for the remainder of the session as conditions worsened. Redding’s time of 1.38.858 was just 0.350 seconds off Nakagami.